200 years of the Ha’penny Bridge: Songs of the City. 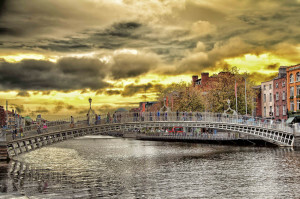 Our next HSC session is Thursday 2nd June with ‘200 Years of the Ha’penny Bridge: Songs of the City’ hosted by our own Brian Doyle. This entry was tagged Abbey Tavern, Dublin, Ha'penny Bridge, Howth Singing Circle, HSC. Bookmark the permalink.